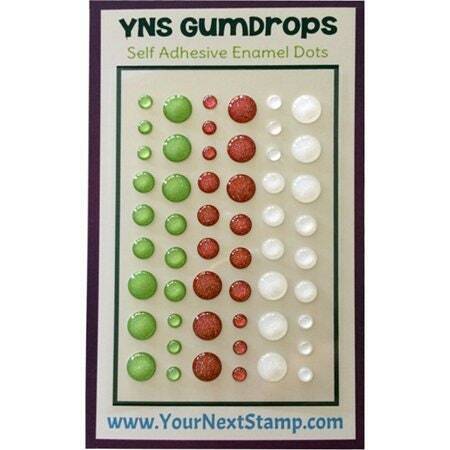 Gumdrops are self adhesive enamel dots made by Your Next Stamp. These fun and affordable embellishments are perfect for dressing up all your paper crafting projects. Self-adhesive enamel dots come in three sizes: 8mm, 6mm, 4mm. Comes in a variety of colors, each sold separately. Package contains fifty-four gumdrops on one 2.5x3.75 inch backing sheet.